Arsenic is a naturally occurring element found in minerals such as realgar and arsenopyrite. This crystalline metalloid gets its name from the Persian word “zarnikh” which means “yellow orpiment”. It was then adopted by the Greeks as “arsenikon”. Though already known of during the time of Aristotle, arsenic was first isolated in 1250 by German alchemist and philosopher Albertus Magnus, who is said to have done so by heating soap with arsenic trisulfide. According to Healthline.com, arsenic is divided into two categories: organic and inorganic arsenic. Organic arsenic is largely present in animal and plant tissues. Inorganic arsenic, on the other hand, is usually found in soil and rocks, or dissolved in water; this is the type of arsenic known to be more toxic. In fact, there exist historical accounts going as far back as the age of the Roman Empire that detail the use of this odorless, tasteless element in assassinations. In addition to the being dangerous in its inorganic state, arsenic can be just can be just as harmful in other forms. Arsine, for example, is a gas consisting of arsenic and hydrogen, and one known to be highly toxic to humans. Abdominal pains, headaches, and vomiting have been observed in affected persons just a few hours after exposure. As a corrosive and irritating element, arsenic can pose problems to the skin, eyes, respiratory and digestive systems. The inhalation or swallowing of arsenic has been found to lead to acute toxicity, while dermal and ocular exposure has been linked to skin corrosion or irritation and serious eye damage, respectively. Arsenic can negatively impact the brain as well. This substance is known to be toxic to nerve cells. Furthermore, arsenic exposure has resulted in reduced intelligence, diminished social competence, impaired concentration, learning difficulties, and memory problems among children and teenagers. Using plenty of water when cooking rice. Washing the rice prior to cooking. Opting for white rice over brown rice, as the latter is known to have higher amounts of arsenic. Opting for aromatic rices like jasmine or basmati. Opting for rices from Nepal, North Pakistan, and other areas from the Himalayan region. Other precautionary steps include choosing organic foods to limit exposure to arsenic-containing pesticides, and testing the soil in back and front yards for arsenic contamination. 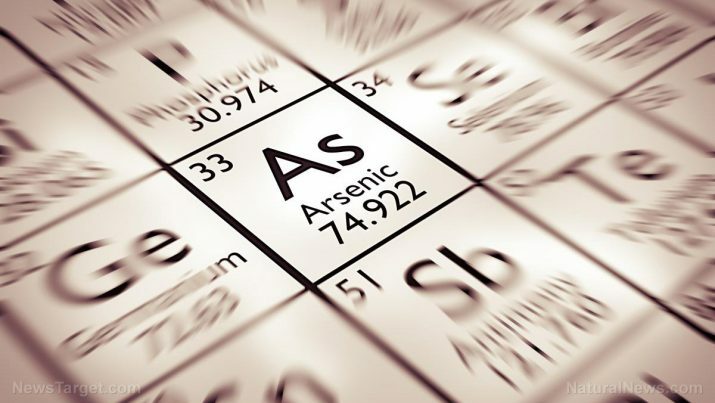 Arsenic is an element that can cause a plethora of health problems with repeated or prolonged exposure. 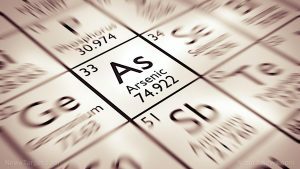 Arsenic poisoning, which is a medical condition resulting from elevated arsenic levels in the body, can lead to abdominal pains, diarrhea, and increased susceptibility to chronic diseases such as cancer and hypertension. This toxic crystalline metalloid is known to be dangerous to the skin, eyes, brain, digestive, and respiratory systems too. More than just irritating the skin and eyes, or bringing about digestive or respiratory toxicity, arsenic can severely impair the brain development of teenagers and children, and has been connected with memory and learning problems.